This is about my First Nation, the Athabasca First Nation (ACFN) and should not be interpreted as a commentary on any other First Nation. Since the summer it has been all about the settlement of our Agricultural Benefits Claim (also referred to as Cows and Ploughs). Arguments within our community were started over the Cows and Ploughs settlement and at times tempers reached a boiling point. The settlement relates to a long outstanding obligation of the government of Canada under Treaty #8. The government failed to provide agricultural assistance as the Treaty, which our First Nation signed in 1899, promised. The process took many decades to negotiate and resolve. The Treaty obligation, if it had been implemented as it should have been in the past, would have given some benefits to individual First Nation families and other benefits to the Chief, for the use of the First Nation as a whole, to help the community adapt to a farming way of life. The federal government negotiated this based on models of what it would cost today for a family of five to start a farm. 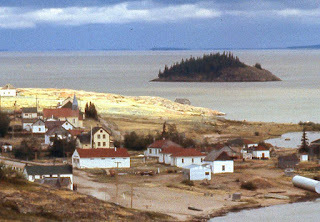 The settlement in our First Nation’s case was arranged so that a majority of the settlement is held with ACFN, to be held in trust for collective community purposes. However each member received an amount of money on November 15, 2017 from the First Nation, representing about a quarter of the settlement proceeds. In the day since the distribution I have been feeling pensive. It is not much, but we all have more than we had on the 14th. Most members will be able to catch up with outstanding bills and maybe buy something nice for their family. Unfortunately, by the end of the week some will return to their poverty-stricken life. And our homeless will still be homeless. The questions I have been asking myself are: how does this improve our life overall? How will the funds in the First Nation’s account fix our social problems? Will there be any fundamental changes in how we do business? Will this money actually make a difference? And if so, how? The truth is that no amount of money will change the lives of individual members in any meaningful way unless we change the way we are. The problem with our nation goes deeper, many layers deeper. We have seen that money cannot solve these problems, whether it is held by the community or individually. We only have to look at the residential schools settlements, right? Sadly, some members received in excess of a hundred thousand dollars and are in no better position today than before they got the money. To understand how we got here we have to go to the signing of the Treaty. Once the Treaty was signed in 1899 we were effectively doomed as a nation. We became disenfranchised. Treaty #8 was signed with a group of people who didn’t know how to read, let alone understand the various concepts being translated through an interpreter. In particular, the notion of ownership of lands was a completely foreign notion. When you add the effects of alcohol combined with a gradual loss of purposeful economic work, the decline of a beautiful people began. Then came the Indian Act to administer and transfer Indian lands to non-indigenous people, and regulate the Indians. 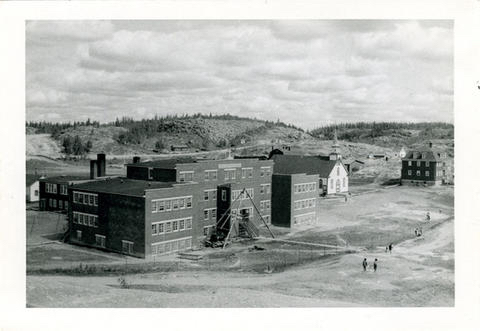 The drafters of the Indian Act certainly didn’t expect it to last into the 21st century because they likely believed the “Indian Problem” would be solved by assimilation and acculturation, especially after the Indian Residential School system began. By now we are all too familiar with that horrifying legacy. Fortunately, after 1951 it was no longer illegal for First Nations to hire lawyers, after amendments of sections of the Indian Act that had been in place since the 1920s. The courts to some degree have been on our side over the years. However, legal victories did not prevent us from continuing to be seriously damaged. Much of the damage goes back generations, stemming from lost of livelihood, lands, and culture. Once we were stripped of our self-sufficiency we essentially became dependent. And in the 1960s, the welfare state came to our communities. Today we are a broken people, spiritually and physically. Each clause of the Indian Act is used as ammunition to diminish our humanity. The Indian Act shackles us. Notwithstanding that there have been amendments and challenges to it over the years, it still controls every aspect of being an “Indian” until death. There have been talks by the Assembly of First Nations and the federal government of doing away with the Indian Act. This is proving to be difficult. How can we eliminate the Indian Act when First Nations themselves are of two minds about it? They see it as our saviour and the bane of our existence at the same time. It gives us just enough to make us feel like it is protecting our special status but not enough for true liberty. It is complicated. Like an abusive marriage that contains just enough promise to keep trying to keep it together. There needs to be a paradigm shift among our people. A fundamental change in the way First Nations are run. First Nations today are run like the colonial system, without the checks and balances of good governance. We can’t continue to do things the same old way and expect our communities to improve. It has to be a change that is dramatic and that rejects the “normal” way of doing things. In my own First Nation, there are members who distrust our leaders. Some feel that the leaders are not acting in their best interest and they feel abandoned. Even though we are one of the lucky ones for owning a multimillion-dollar business that services the oil industry there are still too many members living in poverty. The demand never ends. And I am certain that our leadership feels overwhelmed by those demands. The Cows and Ploughs distribution will provide a stopgap for a couple of weeks and then the demands from those who don’t have enough will return. My First Nation’s Chief and Council saw a need for change and chose to reward themselves in advance for their hard work, and without notice to the Community, doubling their salary three months into their term and making it retroactive to back to the election date. I agree, that being on Council is difficult and stressful work but unilaterally doubling their salary is not the way to handle this problem. Is this behavior the reason for the distrust of our leaders? This is not the change I am talking about. And if any member brings this up they are scorned and told they are being too critical of the leadership. Can we agree that this is insane? Because, it is actually our own members who are saying not to be critical of the leadership no matter what they do. It is as though they are so cynical that they believe they don’t deserve better governance. To follow leadership blindly without question is the absolute definition of being broken. The band-aid approach of fighting one crisis after another is not working. Honestly, our Council is not equipped to govern; they are simply over their heads. Are there enough healthy ACFN members that see this? We have over 800 voting members, yet it is the same people running for election each term. There must be a way to get more members to take an interest in local politics. Perhaps the new salaries of approximately, $270,000 for Chief and $160,000 for each Council member will be enough incentive to get new members to run. It is even being received tax free, I might add, although the basis of this is unclear to me, the First Nation having lost a test case on the application of the Indian Act tax exemption some years ago. I don’t have the answers to fix us but I do know if we don't do something we will continue to have high suicides, addictions, sickness, moldy houses, lack of education, economic losses, unemployment and abject poverty. Our future health depends on us getting out of a spiral of decline. How do we get unbroken? It is clear that our nation must not rely on government to improve our circumstances. Being entitled and waiting for the Government to tell us what we need to do is fruitless. We must be innovative, take risks, and change the conversation from victims to an empowered healthy community. Our leadership must use the funds from the Cows and Ploughs settlement to create not only economic stability but also a plan to address the social problems. The initial information from Council does speak to a general economic plan but is silent on addressing in any fundamental way the social issues that plague our nation. In my view, in order to have economic success we can’t continue to ignore these problems. We are going to have to look in the mirror and honestly confront what has happened to our community and its individual members in the 118 years since our Treaty promised us a future of healthy coexistence. We were poor in material terms but we had what we needed to survive. We worked together to overcome difficult times. Nobody imagined they were entitled to handouts. Life had meaning and our culture was strong. Settling Treaty claims is good and should provide compensation on what we lost. But how do you compensate for the loss of meaning and hope in a people? ACFN members deserve HOPE and a MEANINGFUL life without despair, no matter how challenging the task is for our leadership.